Anyone else obsessed with scrolling through Pinterest?! I looooove browsing all of the outfit ideas, crockpot recipes, makeup inspiration, and home decor. 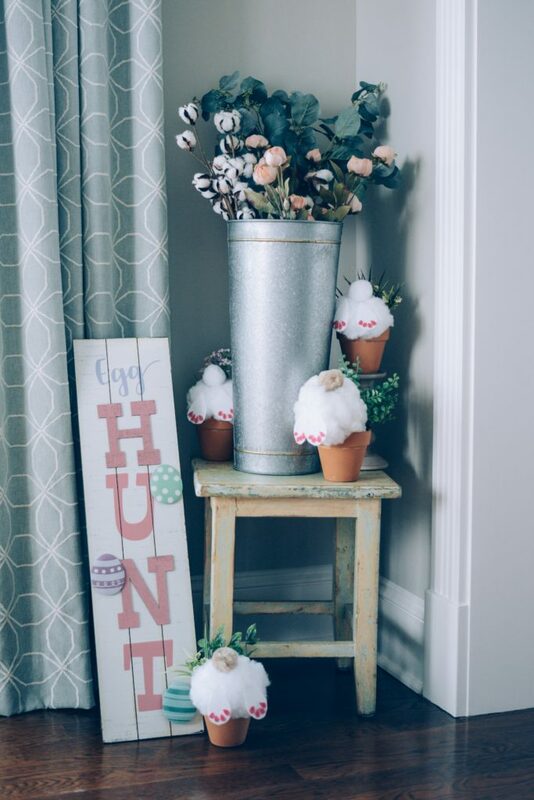 And while I was looking through all the spring home decor pins last week, I found the CUTEST DIY spring and Easter decor that will add the most charming spring touch to your home! 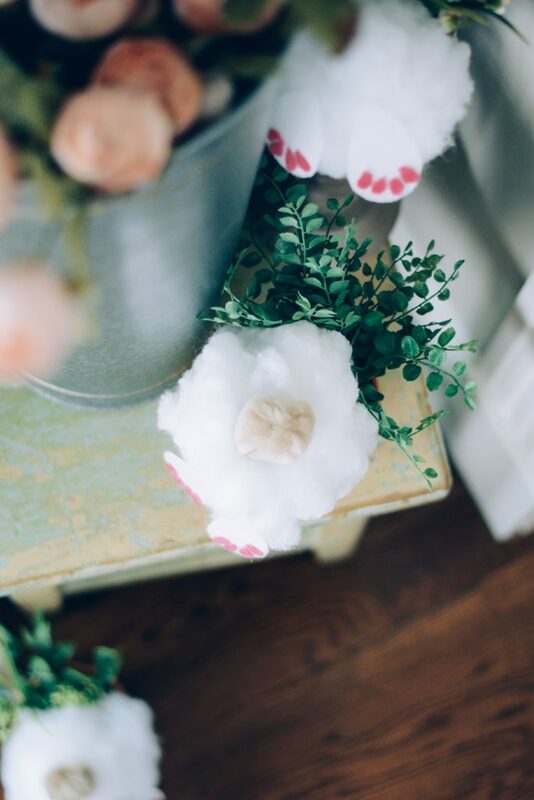 This spring/Easter craft doesn’t take long at all! I actually thought it would be fun for my 5 year old twins to do, and while they enjoyed it, the only part they could really do was sticking on the tails and feet. But that’s okay! 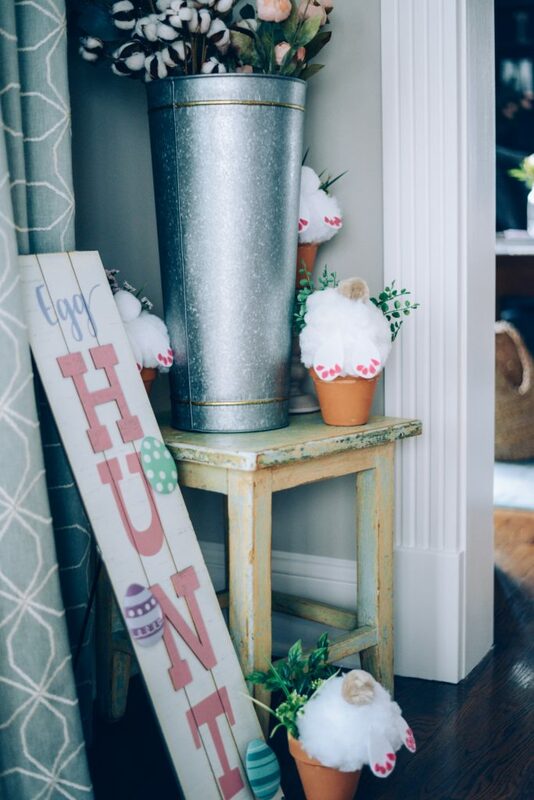 They feel like they contributed to my decorating, and I had a great time putting these “Bunny Butts” together. I mean how cute are bunny tails?! The nice thing about this DIY project is that you can leave the finished products on display way past Easter. Some of these items are extras, such as the cute Egg Hunt sign (which you can’t really leave out once Easter has come and gone). It’s under $9 and has a stand in the back, so you can set it on the floor or hang it on a wall! It’s made of really good quality, and I’m attracted to the rustic design! How else can you display your Bunny Butts? If you don’t already have an accent table to set them on (and don’t want to purchase one), you can certainly use them as spring centerpieces or set them on your mantel! As you can see in my first photo, I even sat one of the pots on a candle stick to set it up higher. The possibilities are really endless! You can even make one to bring to your Easter host or hostess or have your child bring one to his/her school teacher! It’ll surely be a huge hit! 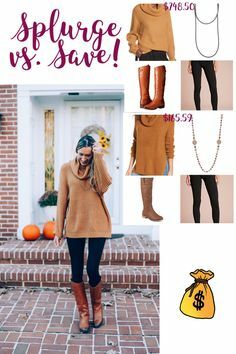 Shop the post and make your own! The hunt sign is so cute! Oh my gosh, I love this! So cute for Easter. this is so cute! love the hunt sign! Oh yes!! These are better for age 7-8 (my girls are 5). Oh well haha they are still cute! This is such a cute idea, I am so ready for spring! I’m going to have to give this a try. Haha yes I love pink, and I do have girls. Not sure if my hubby is too happy with the pink but it’s super cute, and under $9. I love it! Happy Easter! What a cute and festive little nook. I didn’t put up much for Easter because I’ve been so busy! I hear ya! 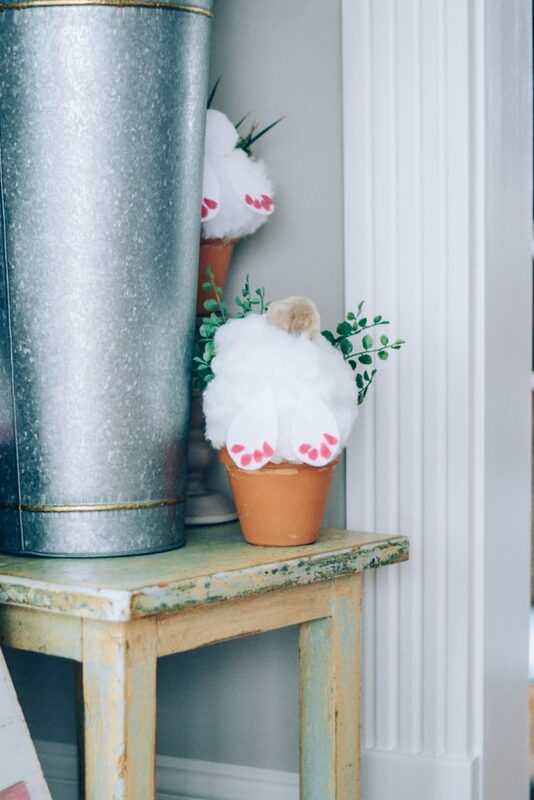 These bunny butts are super easy to make! Make them after Easter so you have them for next year! !